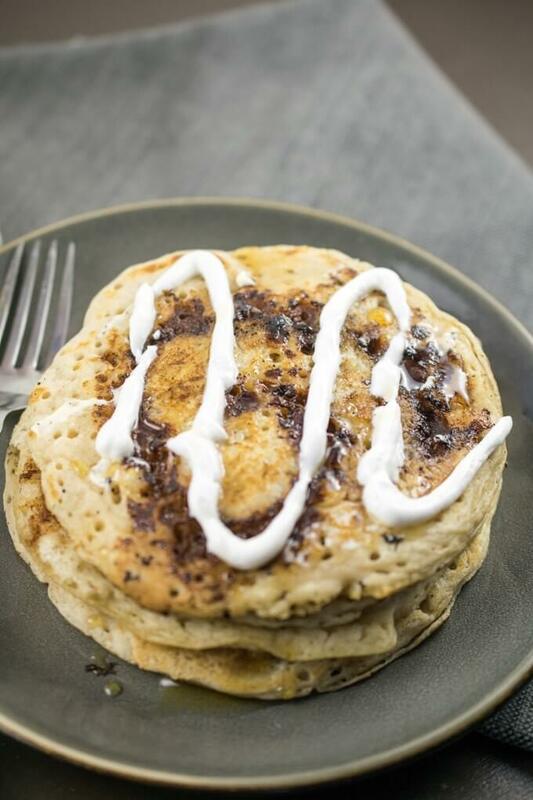 I’ve had vegan cinnamon roll pancakes on my recipe to-do list for a while. Now that the weather is cooling down it finally feels like time for warm, cinnamony things, so here we are! Because the cinnamon swirl takes a little bit of patience, I kept the vegan pancake batter itself super simple this time around. This is a no-frills batter that I adapted to use the reformulated Silk® Unsweetened Vanilla Almondmilk, which has a new silky smooth taste that you’ll love.I’ve also been enjoying this almondmilk, which has a super smooth, nutty and mild flavor, in cereal and oatmeal. 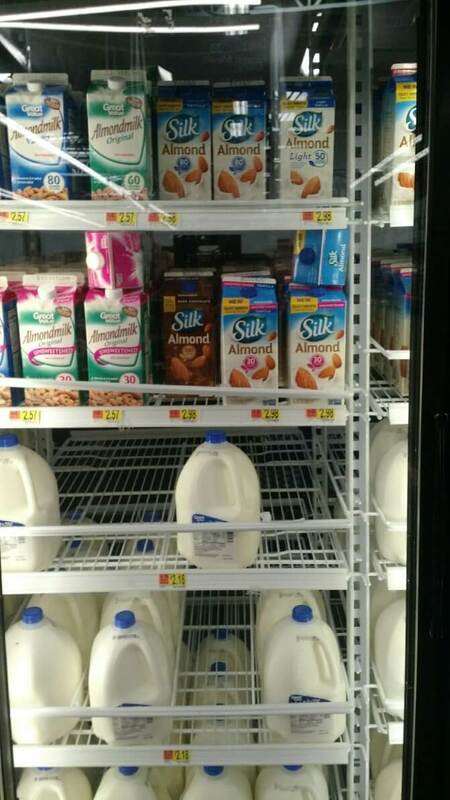 I easily found it at my local Walmart in the Dairy aisle, and also picked up a half gallon of the Silk® Unsweetened Almondmilk for all-purpose use (including in savory cooking like my white bean pasta!). Top with cream cheese icing and enjoy! 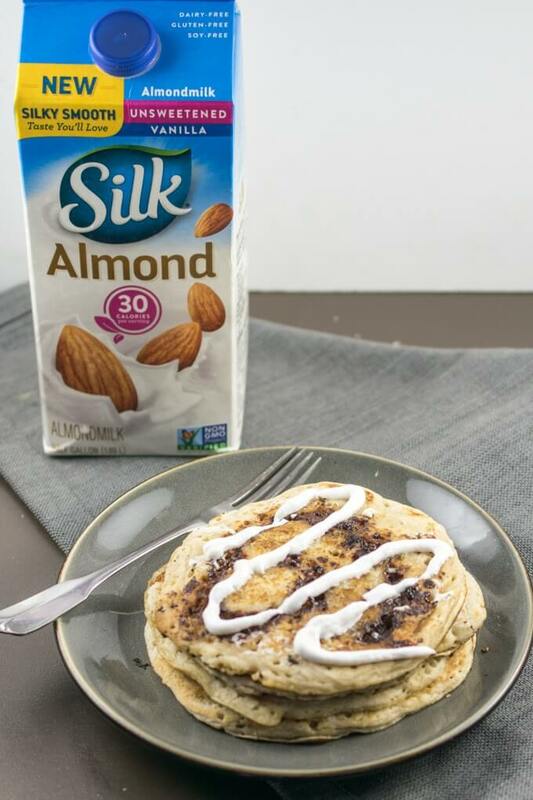 I think you’ll find that quick recipes like these dairy-free cinnamon roll pancakes are made even easier thanks to the affordability and wide availability of Silk® Unsweetened Vanilla Almondmilk and its sister flavors! I know the cinnamon swirl spills out of the perfect spiral pattern a little bit. It would be cool if visually you could see a perfect spiral. But based on my trial runs, it’s difficult to achieve that without mixing in flour with the cinnamon filling; unfortunately that then risks biting into undercooked flour. I chose to go with the simpler, tastier, and slightly less aesthetically perfect option! Add chocolate chips. 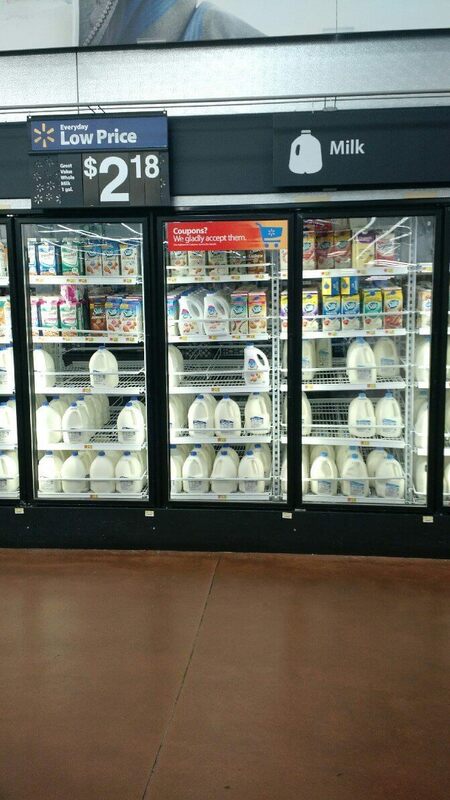 I dunno, why not? Make a whole grain version with whole wheat pastry flour, spelt flour, oat flour, kamut flour, or beyond. Use all-purpose gluten-free flour blend to make a fluffy gluten-free version. Reduce the almondmilk slightly and add mashed banana to the batter for a banana bread version. 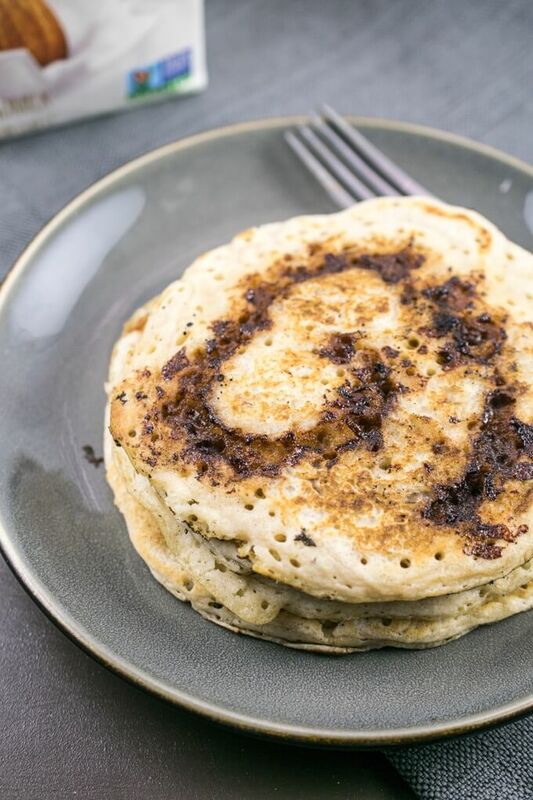 These pancakes are already quite airy thanks to the baking powder, but you could make them even more fluffy by folding in whipped aquafaba before cooking. 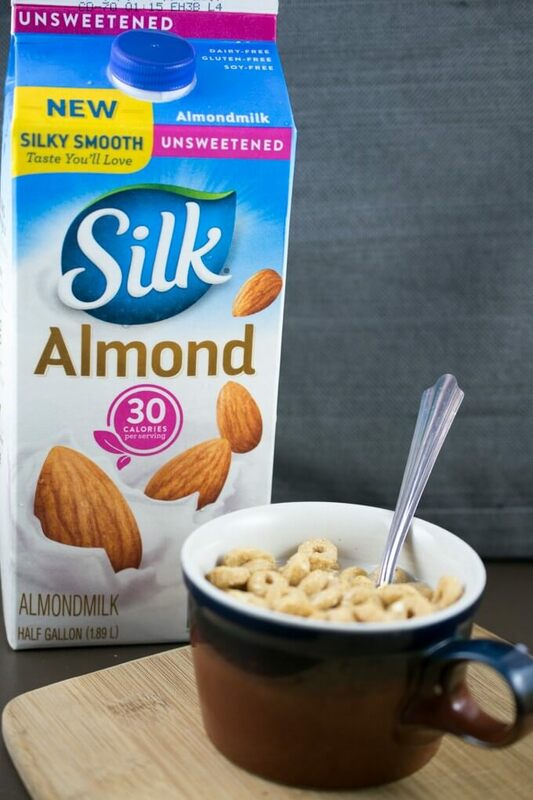 You can find more tasty recipes using the new Silk® Almondmilk here. 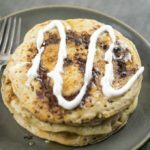 A buttery cinnamon swirl is added to fluffy vegan batter to make these vegan cinnamon roll pancakes, served with optional homemade cream cheese icing. Whisk together the coconut oil, vegetable oil, almond milk, and ground cinnamon until evenly combined. Add the mixture to a plastic bag and set aside in a cool place. In a mixing bowl, combine the flour, sugar, baking powder, cinnamon, and salt. Add the almond milk and oil to the bowl. Stir just until the mixture is combined; it's okay for the batter to be a little lumpy. Preheat a griddle or large skillet over medium heat and lightly oil it. Use kitchen scissors to cut a small hole in one of the corners of the plastic bag with the cinnamon filling. Scoop about 1/3 cup of pancake batter onto the skillet. Take the bag with the cinnamon filling and gently squeeze the filling out of the hole, onto the batter in a circular pattern. Avoid adding filling close to the edges of the pancake. Once the batter is bubbling and the edges have set and started to lightly brown, carefully flip the pancake over onto its other side. (If you're able recommend lifting the pancake gently and agitating it for a moment to give the filling a chance to seep into the interior of the pancake, before flipping it over. This will make the filling less likely to burn). Cook until the pancake is set on the other side, about 2 more minutes. Repeat with remaining batter. Serve the pancakes warm, with margarine, maple syrup and/or icing if desired. Vegan pancake batter recipe adapted from AllRecipes. Cinnamon filling adapted from Recipe Girl.